Been away from Fukuoka for so long doesn’t mean that the love for his hometown fare can be forgotten easily. Among the overflowing varieties of Japanese cuisine, Chef Tomohiko Omori has a soft spot for this one among all. There’s a zen peacefulness and serenity thanks to the pristine surroundings that I felt when entering Miyama at Hotel Borobudur Jakarta. The natural light gives away the energy for the patrons and yet there’s calm in the air at the same time. I feel at home right away. The menu is a well-versed one, naturally, but I cannot take my eyes off one special menu that I will always seek in any given Japanese restaurant here or anywhere during my travels. It’s the Kyushu-specialty unagi Yanagawa. While it’s not uncommon but rarely does a restaurant could deliver it perfectly, or subjectively, much to my liking. Miyama is among the rarity, so to speak. And then the chef came – all clad in white and kopiah-like chef’s hat like in any well-established Japanese restaurant. Chef Tomohiko Omori cheerfully greets us with a good command in English. He tells us a bit about his experiences as a chef in Australia and most recently, for a luxury liner for almost 12 years around Asia Pacific. He talks also about his hometown specialties and what he can present here in Miyama. That includes the unagi Yanagawa that we were having that day. “It was originated from the small town of Yanagawa in Kyushu and if you love eating eels, it’s the perfect place to visit”, he says. 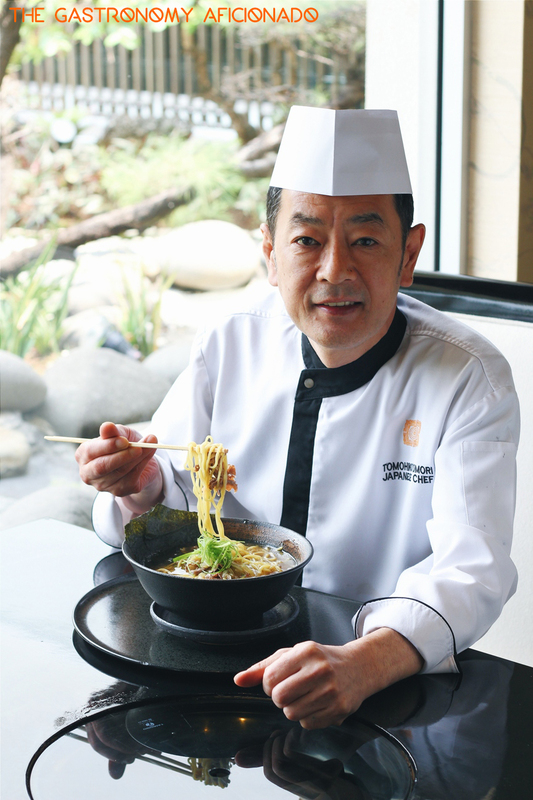 As a proud citizen of Kyushu, Chef Omori has that strong sense of belonging when it comes to what he prefers to eat. “The bolder taste that we find in Fukuokan fares differs itself than other regions in Japan”, says the chef. With so many regions that differentiate each other with their ramen formula, of course he didn’t forget to be specific. “To be exact, it has to be the tonkotsu ramen – the specialty ramen from Hakata district in Fukuoka”, admits the chef proudly.